Campaign Moves: Our campaign began at 4pm on 25th October, when General Girard was informed by a courier that his cavalry pickets have been driven back by Spanish cavalry. Worried that this might be the prelude to an attack by the Allied forces, he immediately gave orders for the division to march south towards the village of Arroyo Molinos. 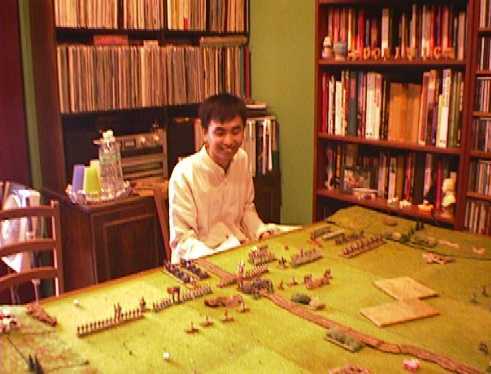 Once there, his cavalry would put out a screen to find the enemy. Girard's plan was to fall back onto the moutain pass between Arroyo Molinos and Albalat, regardless of where the enemy would come from, where the Allies' numerical superiority would be negated. General Rowland Hill was only informed of the clash between the French and Spanish cavalry at 7pm. Thinking (correctly) that the French would be stirred to action by this, he ordered the Spanish cavalry to push on to the town of Carceres. while the British cavalry was ordered to march to the town of Alcuesar, where they are to cut off the enemy if they went south. The rest of the infantry made for the town of Aldea Cano, where Hill hoped they might get some rest if the French were not as fleet-footed as he thought. At 11pm Hill received word from the Spanish cavlry that the French had left Caceres at 5pm. Two hours' head-start, he noted ruefully, and ordered his tired infantry to carry on towards their objective. Meanwhile, the French had arrived at Arroyo Molinos a little past mid-night. Confident that they have put a comfortable distance between themselves and the Allies, Girard gave orders for reveille to be at 7 am the next day, and for the division to resume the march at 8 am, 'after a leisurely breakfast'. However, the General was rudely awakened an hour before he intended to by his aide that the cavalry patrol had run into British cavalry near Alcuesar. 'What cavalry?' asked the General. On being informed that they were the KGL, the General calmly returned to bed, after ordering the cavalry to keep the British at bay till it was time for the division to leave. Fortunately for the French, the British cavalry, being far ahead of their main body, had not pressed forward on encountering the French. A messenger brought the news to Hill, who realised immediately that the French had stolen a march on him. He exhorted his men to march on through the darkness, and ordered the cavalry to press onwards into Arroyo Molinos. Coincidentally, by the time the order had reached the British Cavalry, the French had just broken camp and started marching north into the mountain pass. The British Cavalry found themselves in an empty town. Hill and his exhausted men arrived in Arroyo Molinos, and questioning of the locals revealed that the French had actually marched north, away from Merida. It was at this point that Hill was also informed by his Spanish cavary that they had encountered French Chasseurs near Albalat. Their long marching had not been in vain; the French were now trapped! Hill's men tightened the straps of their rucksacks and checked their cartouches, and marched to make their kill. 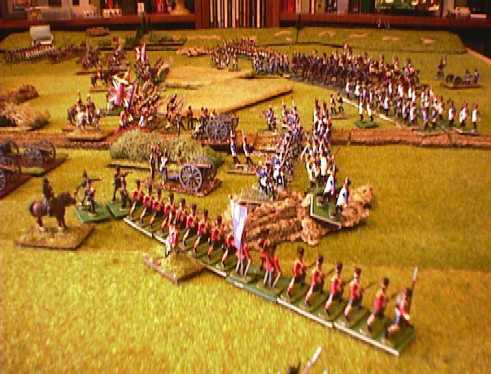 The Anglo-Portuguese and Spanish forces arrive on the battlefield. Meanwhile, the French commanders sit and wait. The British advance to engage the enemy! Panoramic view of the battlefield. 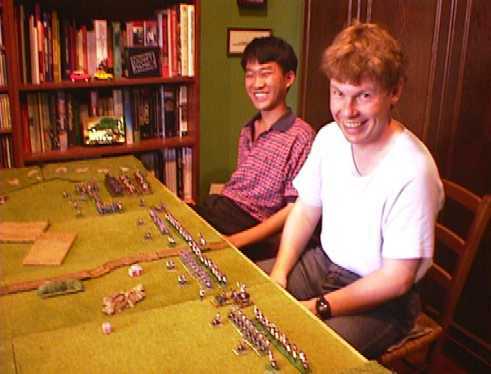 The French open fire on British skirmishers! 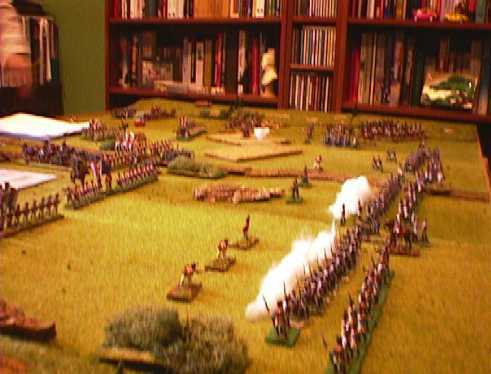 The French begin their advance. Charge the British guns! The Gordon Highlanders wheel to protect the guns. French cavalry mass in the distance.